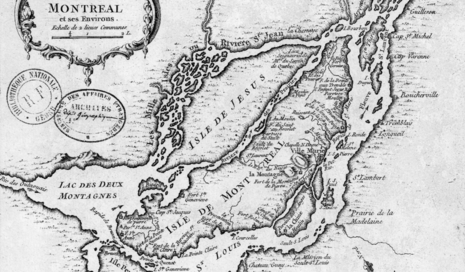 Allen and his men crossed the St. Lawrence on the night of the 24th, landing at Longue-Pointe. The inhabitants he met there were friendly, but he posted guards on the road to Montreal to prevent news of their crossing from reaching the city. However, one man they detained managed to escape to the city, where Carleton was notified of Allen's presence on the island. Brown, for his part, did not cross the river, for reasons unknown. This left Allen's force alone and vulnerable, as it had taken three round trips with the available boats to ferry his men across the river. Realizing he would not be able ferry everyone back across the river before troops arrived from the city, Allen chose a wooded area near the Ruisseau-des-Sœurs (labeled on the map above as Ruisseau de la Gde Prairie), between Longue-Pointe and Montreal, to make a stand. He also sent word to Thomas Walker, a British merchant and known Patriot sympathizer with a house in nearby L'Assomption, for assistance. 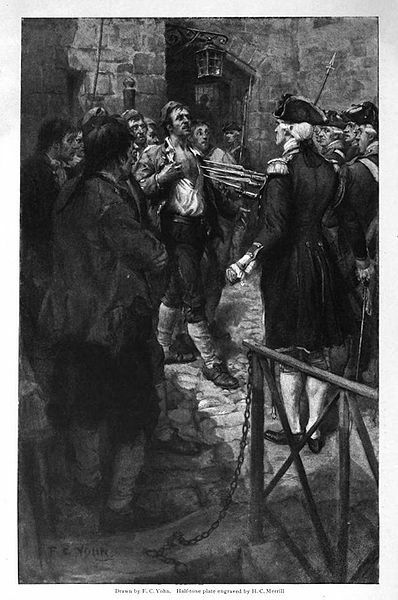 Walker was able to muster some men, but Allen was captured before they could lend any assistance. 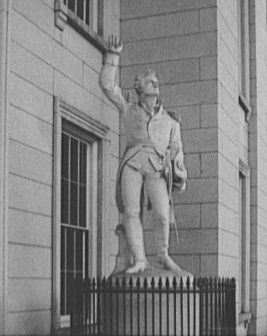 When General Carleton received word that the notorious Ethan Allen was at the gates of the city, he raised the alarm. As the news spread, large numbers of people turned out. Captain John Campbell eventually led a force of 34 regulars from the 26th Foot (the entire garrison in Montreal), 120 Canadians, 80 English, 20 Indian (native) agents, and a few natives, out to face Allen's force. As Campbell's troops approached, Allen instructed 10 Canadians to cover his left flank, while Duggan and another 50 Canadians were placed on the right flank. Both of these detachments fled, rather than holding their positions, leaving Allen with about 50 men. Over the course of about 90 minutes, fire was exchanged between the forces. Allen's remaining forces were eventually broken, and, after trying to outrun the enemy, he surrendered.